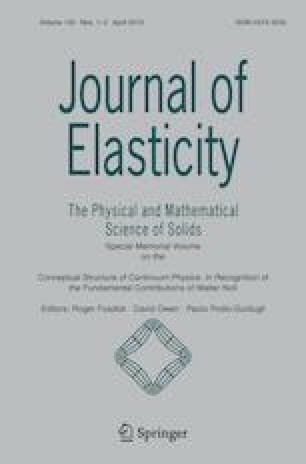 This paper deals with the equilibrium problem of von Mises trusses in nonlinear elasticity. A general loading condition is considered and the rods are regarded as hyperelastic bodies composed of a homogeneous isotropic material. Under the hypothesis of homogeneous deformations, the finite displacement fields and deformation gradients are derived. Consequently, the Piola-Kirchhoff and Cauchy stress tensors are computed by formulating the boundary-value problem. The equilibrium in the deformed configuration is then written and the stability of the equilibrium paths is assessed through the energy criterion. An application assuming a compressible Mooney-Rivlin material is performed. The equilibrium solutions for the case of vertical load present primary and secondary branches. Although, the stability analysis reveals that the only form of instability is the snap-through phenomenon. Finally, the finite theory is linearized by introducing the hypotheses of small displacement and strain fields. By doing so, the classical solution of the two-bar truss in linear elasticity is recovered. The authors acknowledge funding from the Italian Ministry MIUR-PRIN voce COAN 5.50.16.01 code 2015JW9NJT.